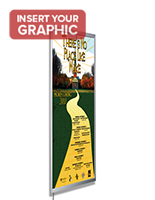 This large store sign hanger lightbox is designed to create portrait or landscape orientation illuminated displays of 36" x 72" graphics. 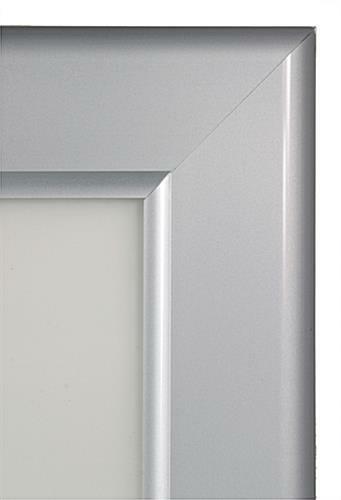 Each wall mounted enclosure incorporates energy-efficient LED edgelighting that attracts customer attention in busy public environments. 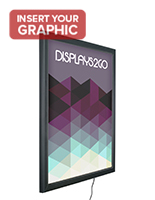 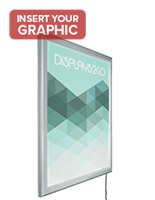 This 36" x 72" sign hanger lightbox for commercial business use is a perfect choice for showcasing advertisements, marketing messages, menus, signage, and informational posters. 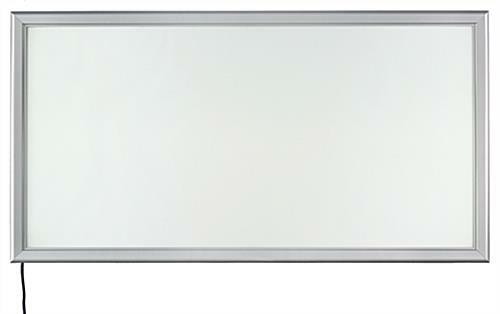 The energy efficient LED illumination for translucent graphics offers more than 50,000 light-hours, making it ideal for use in lobbies, concourses, waiting areas, hallways, and showrooms. 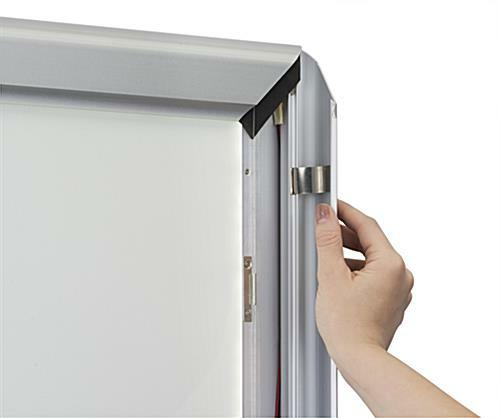 This silver finish illuminated sign hanger lightbox with LED edgelighting features simple snap-open edging that allows posters to be changed quickly while the fixture remains mounted. 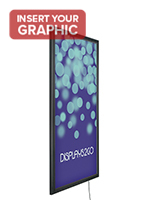 This high visibility backlit graphics display is a great choice for retail stores, galleries, professional businesses, commercial operations, and transit or transportation waiting areas and concourses.